Restore your own biological beauty. When you find a skincare product that has numerous people commenting on how well you look and how good your skin is, you know that you’ve found something unique. 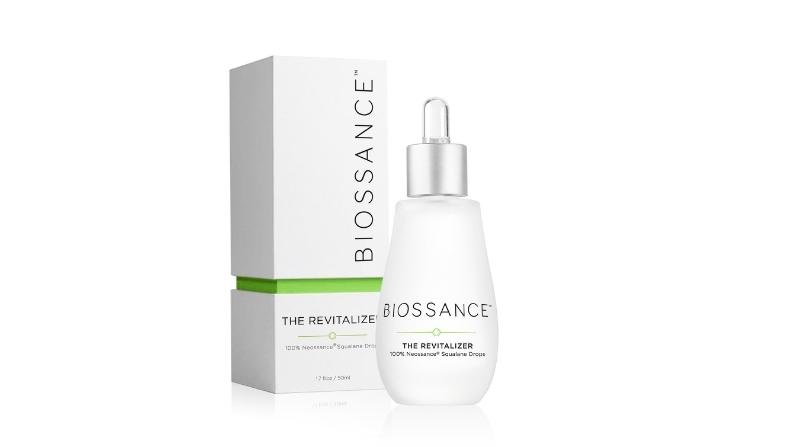 The Revitalizer from Biossance contains a plant-derived emollient, Neossance® Squalane, which replenishes your skin by using a moisturizer found naturally in your body. Your skin will look instantly hydrated and have an amazing glow, whilst moisture will be locked in. Having been both blessed and cursed with oily skin, I prefer to use this moisturizer before bedtime, and not just on my face but onto my neck and decolletage too. Results were obvious in just a few days and friends with other skin types were equally delighted. Derived from renewable sugarcane, The Revitalizer is odorless, lightweight and easily absorbed, as well as being paraben-, GMO- and gluten-free.